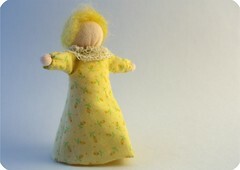 Artistically Speaking: Another little lady in the Shop! She's about 3.5 inches tall, spunky and pretty and ready to venture forth! Visit her at amandamay.etsy.com!